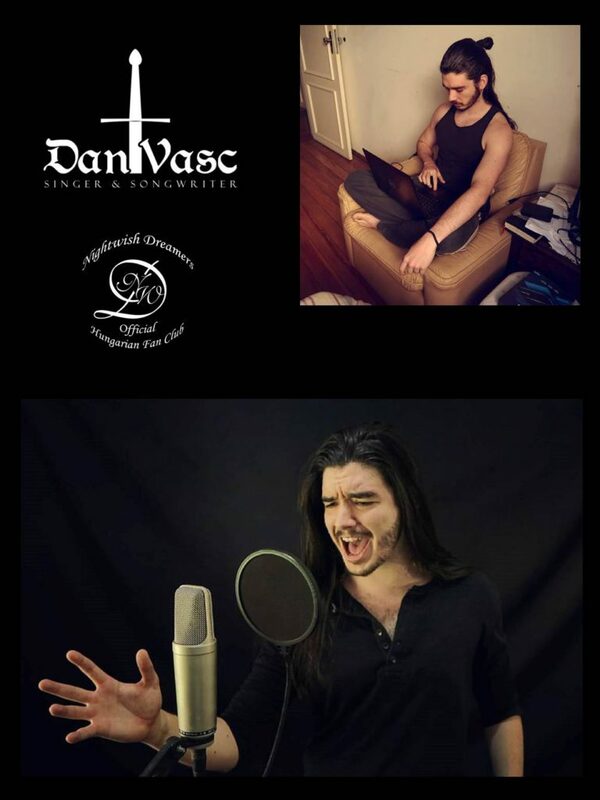 Dan Vasc, who has plenty of cover videos on his Youtube Channel, is a very friendly, open-hearted young singer and songwriter. The interview was made by the technics of the XXI. Century. Where are you from? What do you do when you’re not singing? Please talk a little bit about yourself! I hail from the city of Juiz de Fora, in Brazil! For about 18 months, since I decided to seriously do Youtube, I’ve spent pretty much 90% of my time working on my channel and the business around it. The rest of the time I’m either working out, studying, or spending time with friends. I also like a lot to play video-games, specially retro games. I started collecting those recently. Did you inherit the love of music from your parents or was it your own discovery? My parents weren’t professional musicians, but they definitely had their role in it. My mother always sang in the church music group and my father gave me my first musical instrument when I was 9 or 10, which was his old harmonica. From there it was an ever growing snowball. Where does your name Dan Vasc come from? 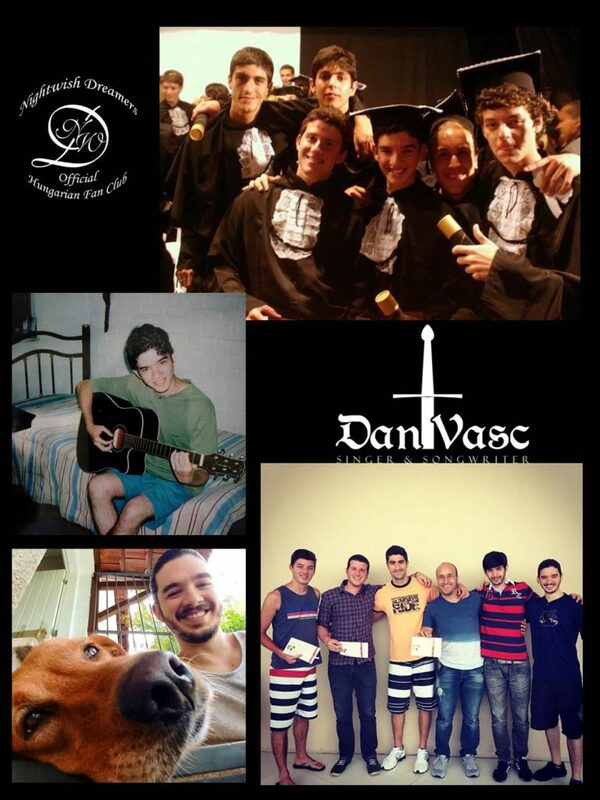 It comes from my real name, Daniel Vasconcelos Pereira de Andrade. Which bands and singers are your idols, who inspired you? I really decided I would be a rock singer when I listened to the album Jekyll And Hyde by Petra. After that some of my early influences were power metal bands like Dragonforce, Avantasia… Avantasia introduced me to many of my current singing influences. There was also Blind Guardian, Rhapsody of Fire, Sonata Arctica… I could drop so many names here. Lately I’ve been also listening to a lot of Manowar and studying Eric Adams voice. Have you ever been on their gigs, have you met them? I’ve seen Sonata Arctica live and Fabio Lione from Rhapsody, but he was with his other band Angra. I’ve had some contact with the people ahead of Manowar. I spoke with Joey DeMaio on the phone a few times about doing something together. We still haven’t found a common ground that works for both sides, but I’m optimistic that we’ll work out something in the future. When you make a cover with somebody, how do you arrange it? For example, when you made the Sabaton cover with Minniva? It’s always a distance collaboration. I record my footage here in Brazil, she records hers there in Norway and we put it all together. In that particular case, since the video was for her channel, she handled all the editing and mixing on her own. That sort of collaboration is always very easy and nice to do. It would be very expensive to have one of us to fly over to record together, not worth it for now. But who knows in the future when we’re rich and famous? Haha! You called yourself “a YouTube singer”. Has this name changed since you’ve made that photo and shared? I do consider myself and my singing colleagues on Youtube as a new breed of artists that aren’t the same as what we conventionally have known in the industry. I was just talking to a friend the other day how the internet and social platforms allowed us to change the way we present our value to the public. We don’t offer simply our art, like conventional artists. We offer also a personal relationship with the artists themselves. For that reason I don’t think it’s accurate to call ourselves simply “singers”. Singers do their thing on some distant stage and you know nothing about them out of this. We do more than that. I think the title of “Youtube singer” works well to make that separation, until someone comes up with something better. Your vocal range allows you any song you want. Some examples from your YouTube Channel: Queen – Show Must Go On, JCST – Gethsemane, The Greatest Showman – Never Enough. How do you choose the song to make a cover? I wouldn’t say “any song”, but the fact that you believe this means that I’ve been doing a good job with choosing my covers, haha! And that is pretty much the process. I make sure I’ll be able to sound good in it. Plain and simple. If I don’t, I move on. You’ve also sang Puccini’s Nessun dorma. It is absolutely perfect! I guess, you have an opera voice training, too. How did you learn to sing? What did you learn from your teachers, from other singers? Well, first of all, thank you! Yes, I had some training with a local classical singing teacher here in my town for about one year. Before that I studied contemporary singing with different teachers for many years. I tried to learn by myself in the beginning and I thought I was doing pretty good, up until my first class, where I horrified my teacher with all the ridiculously bad habits that I’ve developed in my singing. One of the most important things I learned is that attempting to go self-taught in singing is just not intelligent. There are famous singers on Youtube that proud themselves of never having any vocal lessons, but that’s no reason for pride. It’s reason for laugh. It’s an arbitrary self-imposed limitation on the very quality of your craft, the thing that puts food on your table. Really not smart. We can find your covers from the songs of the 80s to the songs of metal bands on your YouTube Channel. What is your favourite music style? Definitely power metal, with all its variations. You can sing growling and opera style as well. What do you sing in the bathtub? Believe it or not: Nothing! I don’t sing in the bathroom. I only take cold showers, for mental fortitude and self-disciplinary reasons, so it’s not an activity that inspires singing too much, haha. Which was the first metal song that was love at first sight for you? Enter Sandman by Metallica. It was the very first metal song I ever heard. It was the first song that made me put the max volume on my mp3 player (no cell phones at the time, kids!). Which is your favourite cover and which was the biggest challenge for you? That’s like asking a father to name his favorite child haha! Not sure I have an absolute favorite one, but Africa was extremely pleasurable to do. I was fighting tears of joy through the last chorus. The most challenging one was probably Bohemian Rhapsody. Making sense of all those crazy harmonies was no piece of cake. 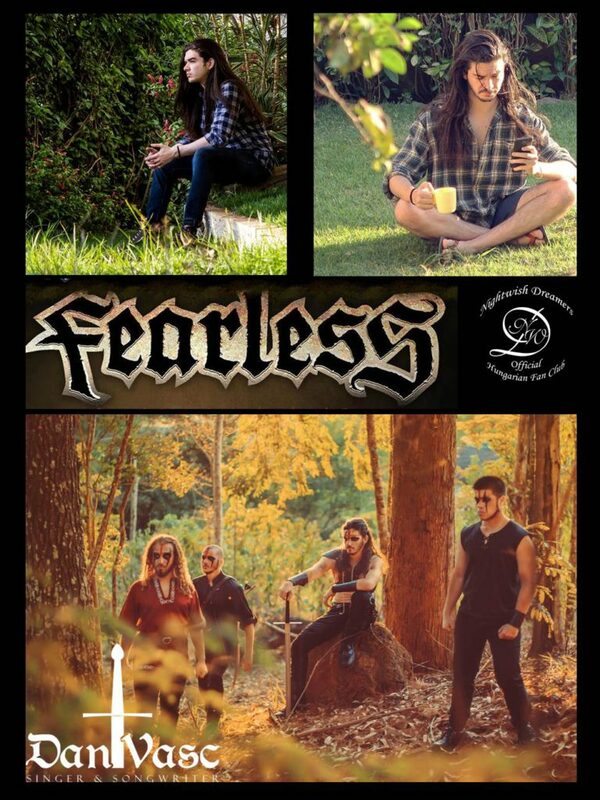 Are you still with Fearless? Yes and I was just shooting footage for a music video the other day! More news about it soon! Do you have projects you‘ve joined? Yes. Before my channel started to make significant income I was pretty active on my session singing business. Nowadays I don’t have the time to take as many clients as before, but a couple of years ago, besides Fearless, I’ve worked with a number of bands. 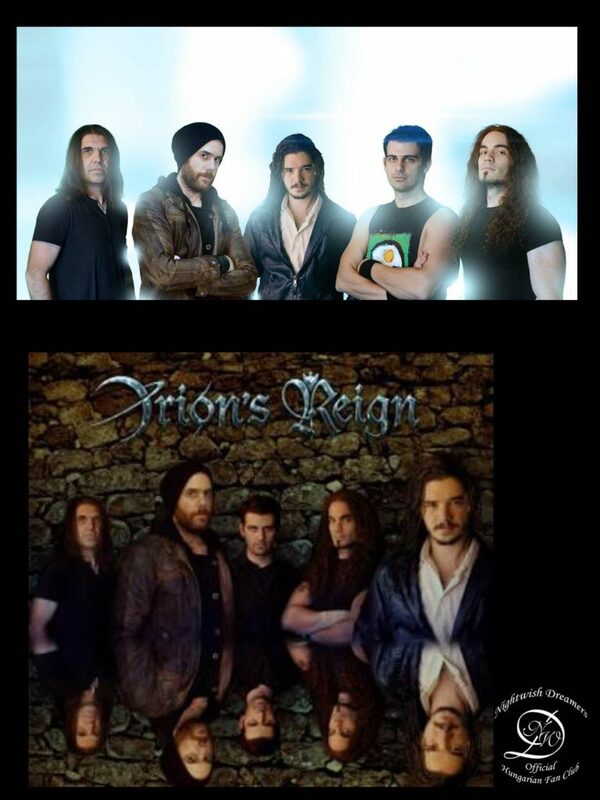 My most notorious clients I believe were OD, an AOR band from Finland with whom I did a small tour, and Orion’s Reign, a power metal band from Greece with whom I wrote and recorded an album. Can You talk about a little bit more about Orion’s Reign? We recognized you on the banner photo of the band’s Facebook page, and we though, you are their singer. How important do you think the lyrics are? It really depends on what the proposed value from the artist is. For example, 80’s hair metal lyrics aren’t to be taken too seriously. It’s all about being shocking, having fun… Now in the opposite extreme, bands like Blind Guardian or Gamma Ray can be a real trip to try and figure out what the lyrics really want to say. I personally like to use music as a vehicle for something, because it’s a power I don’t want to waste. Music is capable of taking words to a place where mere words can’t go. When did you hear the first Nightwish song? Probably on my teens. Wishmaster was the one! I was in awe, needless to say. 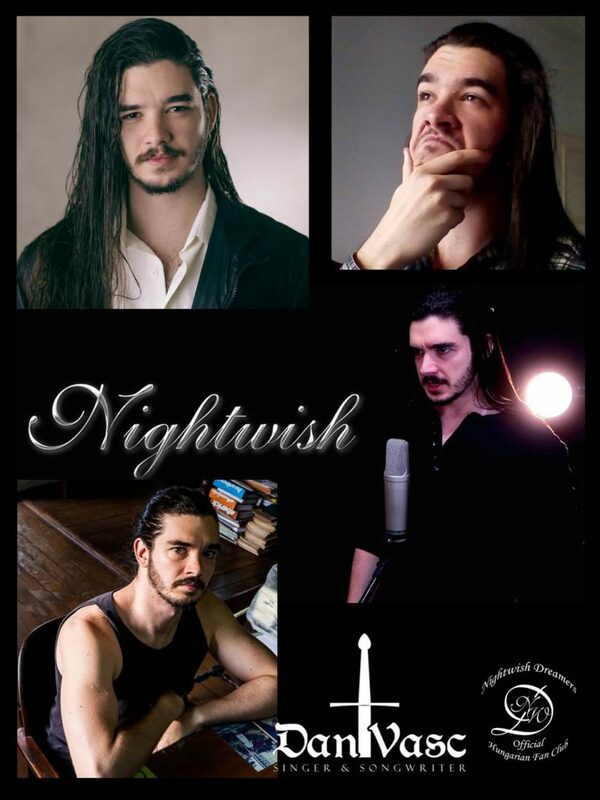 What is your favourite Nightwish song and album? I’m between Nemo and Wishmaster! But it’s hard to choose an album, since my favorite Nightwish songs are pretty much scattered throughout all of them. If I absolutely have to choose, now I’d say Once. But I can change my mind any time haha. Unfortunately not! But I certainly will. We saw a request comment at your cover video. It was Ghost Love Score from Nightwish. Do you plan to do it? Hard to top Yannis Papadopoulos on that one! But I love challenges. I would just need someone very talented for the instrumental. I don’t want to use the original. Yannis did, but he runned the risk of having the video taken down. Gladly for all of us it didn’t happen. Thanks! Well, it’s harder of course, because the song wasn’t conceptualized to be sung by a man. So you need to change your approach to it and not try to immitate the female singer, cause that will sound ridiculous. I often try to use my imagination and use my male singer references to think, for example: How would Eric Adams sound if he was singing this? Or Michael Kiske? Or ZP Theart? And then I execute the answer. If you could just bring one CD and one book to a deserted island, which ones would they be? Assuming there would be some way to listen to it haha, right now Warriors Of The World United from Manowar. And probably some book about survival haha. Do you have a dream about being on the world board and other dreams? Of course! In a short term I just want 1 million subscribers on my channel. In a mid to long term, I want to tour the world with my band and play my original music in big festivals like Wacken, Download, Graspop, Monsters of Rock… That’s what I want to do. Have You ever been in Hungary? You’ll be welcome, if you come! Not yet! When I do, I’ll need recommendations of cool places to go, good food… One of my favorite things to do when I go to a new place is to try the local food!